What to do when you want a spectacular view but have never worked out a day in your life*? Why you drive to the top of course! While in North Carolina my friend and her friend decided to surprise me by taking me to Cold Mountain (part of the Appalachian Mountain range) just outside of Asheville, NC. I was thrilled at the prospect of this day-trip! I am from the city, the only waterfall I had ever seen was Niagara Falls and the only mountains I had seen were ski hills, needless to say I needed this outing. 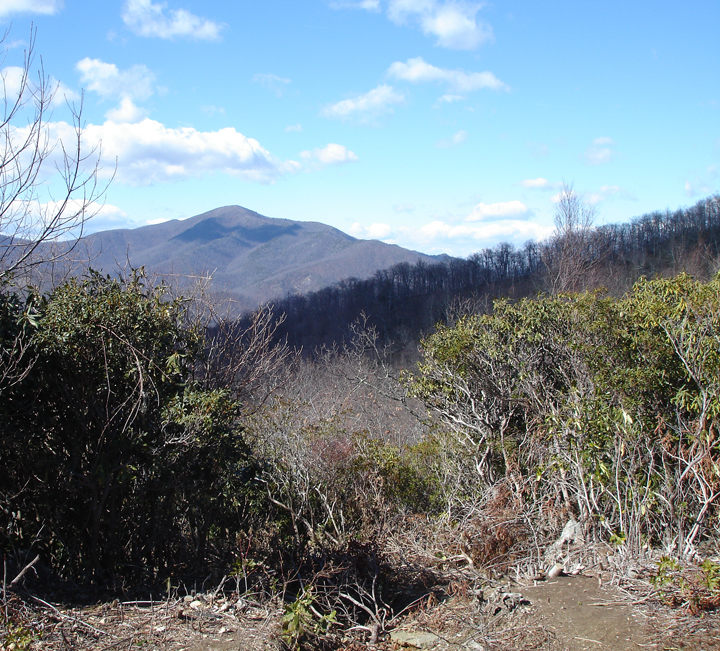 As per getting to the summit of Cold Mountain, that was easy, this being in America and all- there was a road to the top. It would have been quite the arduous trek given that the peak is 6,030 feet above sea level and I had never been hiking in my life (unless climbing sand dunes in Newmarket counts). On the way up my ears even popped. The views from the top were breathtaking, you could see the rest of the Appalachian mountain ranges going off into the distance, fading to a gorgeous grey-purple. The valleys down below would have been a tad prettier had we not gone there in February, as in the dead of winter. But you wouldn’t know it given the balmy (to a Canadian) temperatures that occasionally soared into the double digits! *This was 5 years ago, as in before I took to working out.